Everyone has an opinion and I thank God for our uniqueness. Otherwise, this world would be robotic, completely predictable and quite boring. The problem caused by considering multiple opinions when it comes to following natural medicine advice is that it typically makes it very difficult to determine who and what to believe. The task of gathering topic relevant information is both helped and hindered by the internet. If you are not sure to what I am referring simply Google any natural health topic and watch the avalanche of differing opinions and suggestions that will flood your screen. To gain direction we typically rely upon information gleaned from those whom we perceive as having more expertise in our topic of query. In Western health care the medical doctor reigns supreme. Taken as a whole, any opinion rendered by the medical community is given significant weight of consideration in helping us formulate our final stance towards any health topic. This makes perfect sense to the majority, since medical doctors typically represent a portion of our society considered to be of higher intellect and who form their opinions based on scientifically sound information. And, we have an inherently higher level of comfort with this group since we have relied upon them from childhood to give us direction and care when we were sick. On the other end of the spectrum are those who seemingly question nothing and somehow think it logical to run a power crystal on your solar plexus in order to heal anything that ails you. We inherently have a lower level of comfort in taking advice from this group because the common perception is that those who tender this kind of advice are typically in the clan of con artists or nut-bags. Solving the problem of whom and what to believe is not an easy one when it comes to the topic of natural health. We all have the innate knowledge that it is simply impossible for anyone to know everything. Deep down you understand the extent of anyone’s knowledge is limited by their experiences, intellect, biases, passion (or lack there-of), and inability to assimilate all the information about any one topic. Can a medical doctor be wrong at times? Can a crystal wielding nut-bag be right at times? The answer to both of these questions is yes, which tells you that you may not be served very well by accepting everything spoken by your M.D. or by disregarding everything claimed by the so-called “Quacks”. My goal in this article is to give you some tools and understanding by which you will be able to formulate an opinion on natural health care topics that goes beyond hearing and believing. My hope is that you become more “critically open-minded” in your approach of determining what is good for your optimal health. I began using this term almost two decades ago when I came to the realization that being too critical was severely limiting my ability to give my patients cutting edge, yet sound, natural health care information. By learning to balance being critical with an open mind, you will be able to form a defensible and logical opinion about any health care topic. By allowing yourself to become too critical you severely limit the range and effectiveness of what treatment you can accept as valid. You create a tight paradigm within which you only allow information that passes the test put forth by a strict set of guidelines. A great example of this would be the medical community. Very little in the realm of natural health is accepted within their treatment paradigm unless it passes the test of being studied under scientific methods. Their recommendations are governed by the use of “studied medicine” which, in turn, is almost completely directed by the pharmaceutical industry. If you have not had a chance to read my recent article, “Studied Medicine: Quit Fooling Yourself!”, I suggest you click on the link to learn why this term represents a glass house built adjacent to an area of rock slides. Let me give you an interesting and thought-provoking example to illustrate how being too critical may limit knowledge. I recently received an email from a patient giving me an update on her condition after following my direction for the treatment of her digestive issues. The interesting part of this story is that she had been to her primary care doctor, the E.R. and TWO Gastroenterologists (G.I. specialists) without results prior to our consult. How on this earth could an alternative health doctor have helped a patient who had seen four different medical doctors with two of those specializing in only digestive issues? Another important question would be if the treatment I recommended was so effective in contrast to the medical specialist’s failures, why would they not adopt such a therapy? The answers to these questions are simply that they were limited by being too critical in their thinking. When a patient tells the G.I. specialist she had success with a treatment that falls outside of the doctor’s paradigm he quickly classified this information in his X-files. In other words, it is the stuff that he cannot explain, but has to be chalked up to the placebo-effect in his mind. The biggest problem is that he will rarely even hear about these successes. Do you really think this patient is going to pay for an expensive follow-up appointment with the G.I. only to tell him that she is symptom-free and just wanted to inform him of the alternative treatment she used? No way! So, as far as the G.I. knows his treatment protocol was effective, since the patient did not return. I can tell you that I have had many dozens of these types of successes and have NEVER received a call from a G.I. specialist asking me to explain the logic of my treatment protocols. Thus, they gained no wisdom from the exposure to this successful treatment and a couple of patients later, their chance to widen their treatment options and to grow intellectually was lost. The other side of the coin is the person who is too open-minded. The only evidence they need to believe in anything is that someone reported feeling better after following that procedure. This leads to the wackiest of the wacky that gives alternative health care a serious black eye. In addition, this opens you up to a much higher chance of trying totally ineffective or worthless treatments. I will share a kind of funny, but eye-opening, experience with you to help illustrate just how being too open-minded is not the way to go. I had a discussion with an energy-type healer recently and, as is my nature, I was challenging some of her core beliefs. She became more than a little bit upset with my lack of faith in her faith and ended up scolding me because I admitted that I had not personally experienced her type of treatments first hand. So, I set an appointment with her. Upon my arrival she asked me if I had any areas of concern. I told her that I was under a lot of stress and that I thought it was affecting my energy levels. (This was completely true, by the way.) Her treatment room was dimly lit with candles and I laid face up on a very comfortable massage-like table. The quality of her touch was outstanding. Her hands were soft and her fingers were refreshingly cool, but not cold. I became ultra relaxed and felt a release from the tension that had ruled my body just prior to the onset of treatment. I quickly realized how someone could conclude that this was going to be an effective treatment for what ever symptoms they were experiencing. As I laid on my back I thought of how I could test her in the wackiest of ways. So, I first told her that something very weird was going on. I told her that I felt like there was something like electricity coming out of my big toe, but only on the right side. (This was completely made-up, by the way.) She was not surprised at all and even told me that this was negative energy leaving my body from my liver. A short while later I told her of another alarming, but completely made-up, symptom. I told her that I felt like there was a beam of energy coming out of my belly button that was going up to the ceiling! For the life of me I can not remember what she told me to explain this made-up phenomena, but I can tell you that she was not at all surprised by my belly button light saber. This experience illustrates how completely open-minded people will believe anything without question. Does this mean that they will be wrong all of the time? Not at all! But, their chance of being completely off base is no doubt higher than their overly critical counterparts. So, how do you train yourself to look at natural health information in a critically open-minded manner? I have a number of practical suggestions for you. You need to come to the realization that studied medicine only gives you questionable information suggesting a benefit or lack there of for any treatment or substance. That is why one study shows a benefit and why another concludes there is none. Statistics and outcomes are so massaged and planned in these studies that no one should give them more weight than they deserve. Consider the outcomes of studies as a small piece of the puzzle without having the ability to give you the whole picture. Realize that NO study proves or disproves anything and that whoever is funding the study has great influence over the outcome of the study. Do you remember a number of years ago when a study came out concluding that a high sugar intake was associated with hyper behavior in children? Months later a different study came out stating just the opposite. Guess who funded this second study? Yep…the sugar industry. Another example is that 100% of the studies funded by the aspartame (artificial sweetener) industry revealed no negative findings for their product. However, the vast majority of independent studies raise serious questions about this product. There are MANY other examples I could give you but let me use anti-depressants as a final example. St. John’s Wort has been much maligned over the years in the news. The basic take home from the reporting is that St. John’s Wort is worthless and your medical doctor will quickly opine in this manner. Evaluation of numerous studies shows that St. John’s Wort only has about a 40% effectiveness. That is O.K., but not super. Studied medicine also tells us that just about all anti-depressants work, on average, in only 40% of cases. But, that is the same as St. John’s Wort and St. John’s Wort has way fewer side effects. Thus, if doctors evaluated the science in an unbiased manner they would most certainly tell their patients to try St. John’s Wort first. But, alas, this NEVER occurs. I have patients ask me all of the time whether it is possible that a certain product could cure their condition…and I stop them right there. I always tell them, “Yes, it is possible.” The question, though, needs to be is it probable. I learned a long time ago that we know very little about the human body and that everyone is different. This means that someone could very well experience a “cure” from using a product. How can I say no way without being a complete know-it-all ego-maniac? My concern is whether it is likely, not if it is possible. Does your type of symptom or condition typically resolve quickly or deep down do you know that getting rid of it is difficult? The more chronic or complicated your condition the less likely it is that any one procedure, drug or product will afford you a significant resolution of symptoms. Thus, the probability of resolution is low. How sensational are the claims of benefit? It is not atypical for someone to want a cure so badly that they would do anything to get rid of symptoms. Thus, many of us are attracted by claims of quick cures or miraculous results. NOTHING cures chronic conditions for everyone. The probability of curative qualities from sensationalized products or procedures is very low. Finally, what does your gut tell you? I know this is highly unscientific, but remember we are practicing being critically open-minded. There is no substitute for good old fashion gut feelings. Shady sales people sell a lot of products even though people know down deep that the chance of something living up to expectation is low. Is your gut’s B.S. ‘o-meter going off or is your gut filled with genuine excitement and hope? Follow your gut. The probability of success goes way down if your gut tells you no and you do not listen. NO ONE KNOWS EVERYTHING! I just wanted to point that out again. 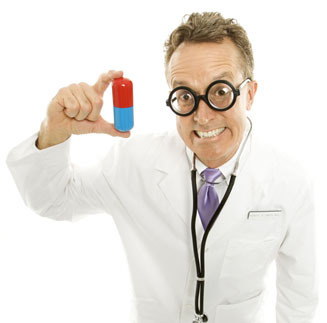 So, you will never find an “Expert” who can give you direction on everything within the natural health care arena. I can tell you with confidence that if you rely on one source for all your information you are missing out. This applies to popular health care internet sites and this especially applies to me! I always find it peculiar that so many of us wholly ignore this universal truth that no one knows everything when we ask our doctors questions. This is especially true when that doctor has an M.D. behind his or her name. Let me let you in on a little secret. Doctors, in general, know a little about a lot of topics. Doctors know very little detailed information about any specific topics. The secret is that they are good at faking it and will enthusiastically give you their opinion even when it covers a topic well outside of their expertise. For example, I get told on a regular basis that, “My doctor says all I need is a Centrum.” I say your doctor is completely wrong and the fact that he/she told you this displays a gross lack of knowledge when it comes to taking supplements. But, instead of honestly telling a patient that they really do not have any training or knowledge in this area, they give an answer anyway. And, they give that answer with an air of confidence. Tell me…is it not refreshing when a doctor admits that he just does not know the answer to your question? Or, if she tells you that she does not have expertise in a certain area? Do you think less of him/her or do you respect him/her for acknowledging his/her limitations? So, if none of us knows everything, how do you pick your experts? The answer is that you test them. Challenge them with questions to identify why they believe what they believe, read what they write, get opinions from others in the field for comparison and test to see if what they say passes your scrutiny. Here are some questions you should ask to determine the amount of faith you will put in anyone’s level of expertise. Is the “expert” selling you something specific? This is an easy one. If an expert is endorsing a unique and specific product, your chance of getting a well balanced opinion from that person is very low. Ignore claims of “World renowned”, “Internationally known”, “Recognized expert” or “Leader in his field” type of claims. The people I look up to as leaders in natural medicine NEVER tell you how great or accomplished they are. They prove it with their work. Does the “expert” study in the field for which they are rendering an opinion? This may sound like a “No, Duh” type of question. But, as I mentioned earlier, people ask their medical doctor’s opinion about natural health care all of the time. When you are going to obtain an opinion from someone do you not want to know if they actually study that topic? So, ask your doctor if they specialize in and study the use of vitamins, herbals or supplements. If they say yes, then ask your question. If they say they have some knowledge or that it is not an area of expertise, don’t take the chance on confusing yourself with their opinion. If you were a mother expecting your first child and wanted to get some expert information about labor and delivery, you wouldn’t go to your friend’s husband to ask him his opinion just because he had familiarity with the subject. No, you would ask the person who actually had a more intimate level of experience with childbirth. Does that “expert” actually work with patients or do they just render opinions? I constantly read information spewed by those who do not even work with people. Many are researchers who make claims based on theory and not on real life experience. Google the name of the expert and see if they work in a clinic or if they are an academic. What has this “expert” written? Every expert I know has written numerous articles in order to share their views and knowledge with those who need help. I would be very cautious about accepting an opinion from someone who does not write articles for the lay public. Get a couple of their articles and read them. Then let your gut’s B.S. o’meter (I like that term) go to work. Does what they write seem to be solid in logic? Do they back it up or do they just use rhetoric? Those who tend to dismiss anything not endorsed by their medical doctors are limiting their health care options by being too critical and closed-minded. On the other hand, if all you need is a well written testimonial to make you believe in something, you are way too open-minded. If you tend to be too critical, my recommendation is to temper that with a dose of open-mindedness. If you are too open-minded, throw in some critical thinking in order to find a balance. First, stop putting your faith in studied medicine. Never let the words, “But, it is not FDA approved!” come out of your mouth again. Give studies a relatively small amount of consideration when deciding the merits of any natural treatment. Next, determine the PROBABILITY that something is worthwhile. Is your gut telling you something? Listen to it. 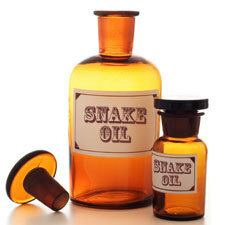 Finally, find a few experts in natural medicine and evaluate what they have to say.